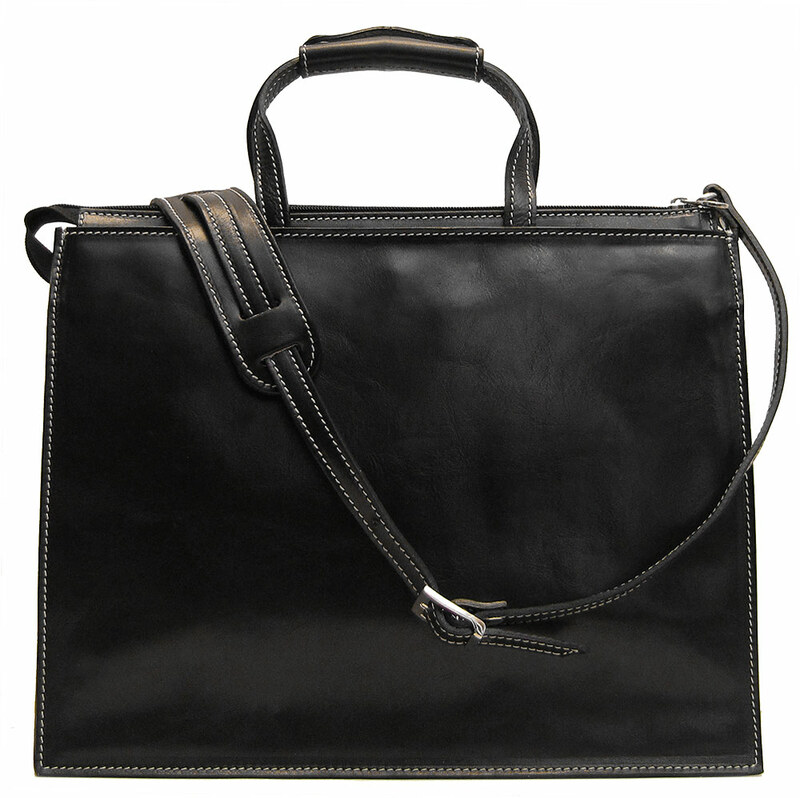 Trastevere Leather Briefbag comes in 2 color options – Black and Vecchio Brown. 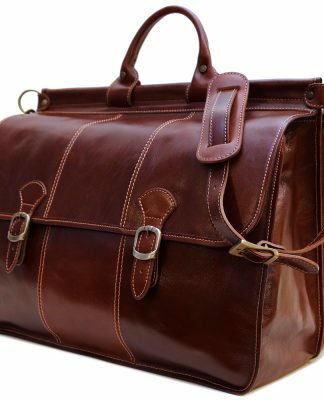 The Trastevere Leather Briefbag is a handsome everyday leather briefcase with a little extra function–that’s its beauty. 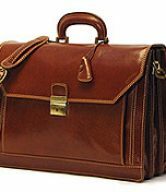 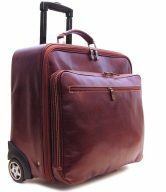 This briefcase bag is for those who want a large leather briefbag that’s rugged, structured and made in Italy of a durable leather that gains character with years of use. 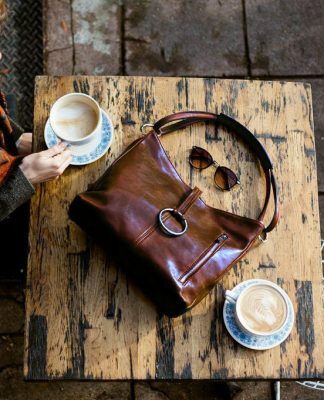 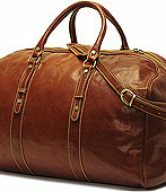 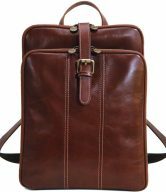 The Trastevere Leather Briefbag is beautifully crafted in rich Italian calf-skin leather, au naturel to bring out the expressiveness of the grain, and offers the organizational extras that you expect. 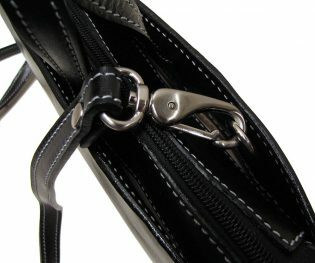 The interior has one very roomy main compartment. 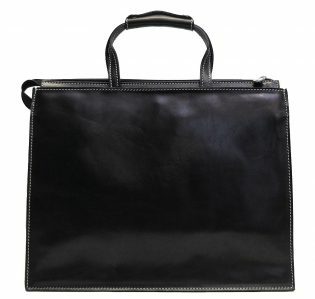 In addition to your laptop and its accessories, you can also carry documents, files, or books you need. 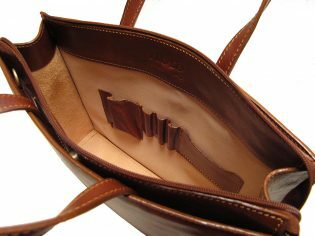 It also contains an inside smartphone organizer, two side magazine pockets, and a detachable shoulder strap. 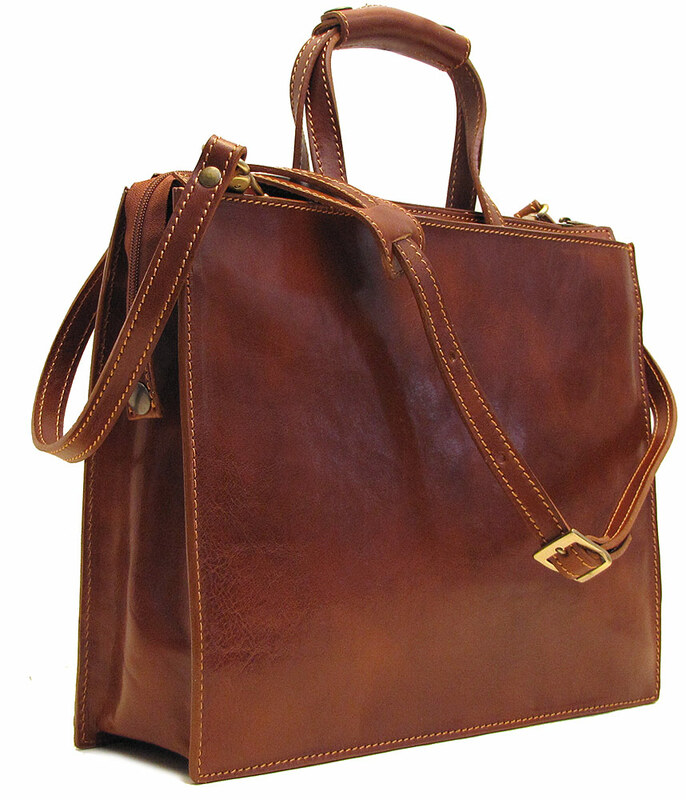 The Trastevere Leather Briefbag is easy to carry. 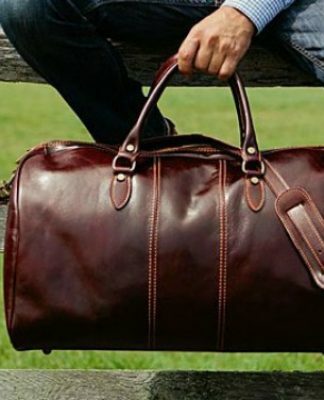 It’s not too heavy despite being made of leather so you can throw your bag over your head and shoulder and let the briefbag hang at your side. 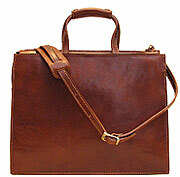 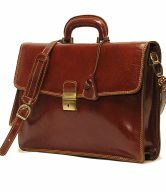 The Trastevere Leather Briefbag is a sophisticated and versatile leather briefcase bag. 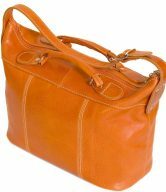 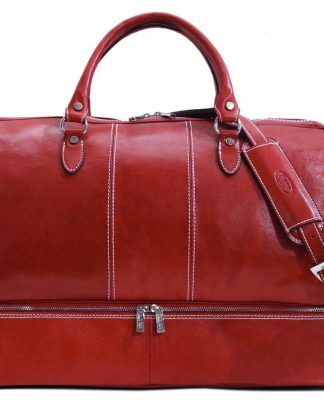 The Italian calf-skin leather is of incredible quality that will wear well, and the stitching and lining are extra touches added to an already perfect piece. 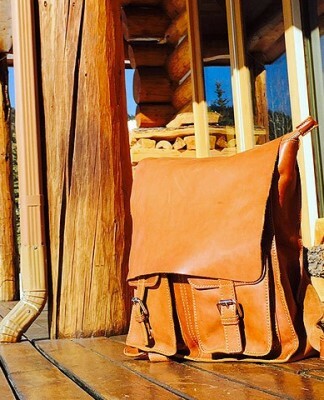 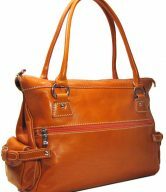 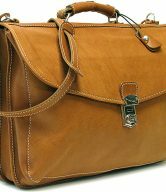 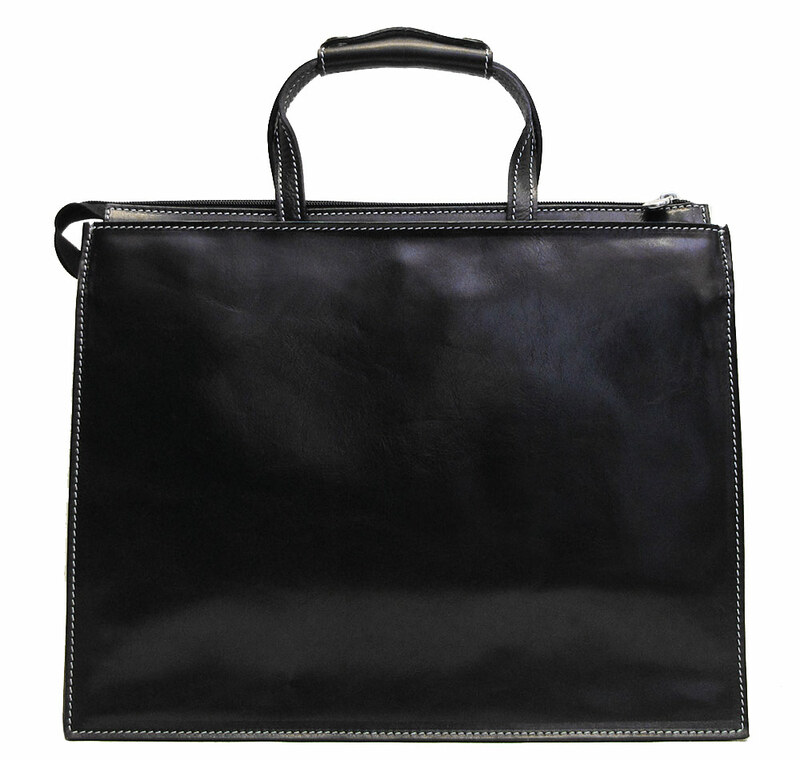 In short this is a high quality, functional and stylish leather briefbag, one of the best.